Are you planning to apply to medical school this year? Worried about the personal statement, most meaningful experiences, activity descriptions, and secondary essays? They can be challenging! Let’s learn about the who, what, when, where, and why of impressive, engaging writing that will get you accepted. While we’re going to take a deep dive into personal statements, etc., today, our upcoming webinar, The 5-Part Framework for Medical School Acceptance, which I’m presenting, provides a conceptual framework that will help you choose where to apply, optimize your application, ace interviews, and start medical school next fall. Please join me for the webinar on February 6 at 4 PM PT/7 pm ET. If you combine the advice I’m giving today with the framework in the webinar, you’ll be ahead of the curve on your MD or DO applications. So let’s look at the who, what, where, when, and why of the writing required in applying to medical school, although I’m not going to go in that order. Like Simon Sinek, I’m going to start with the Why. Why do you need to do so much writing for your medical school application? The reason for all the writing in your medical school application can be summed up by the acronym PAD. Add value to your application. Demonstrate writing and communications skill. Who will be reading your medical school application? Admissions committee members are going to be reading your application. Like most human beings, they like and respond well to stories, anecdotes, and specifics that make you come alive. Grandiose declarative statements make them suspicious. You want to show what a wonderful physician you are going to be. The people evaluating your application want to be able to imagine you treating their mother or father with compassion, kindness, and skill. They want to see you as a detail-oriented, empathetic professional. When should you apply to medical school? Start early so you can submit primary apps in June (as early as possible). Medical school admissions can be like musical chairs – there are more chairs the earlier you apply. I suggest listening to the podcast where a soon-to-be med student talked about how he started the process early, submitted in June, prewrote his secondaries, and was accepted by October. Allow time for writing and rewriting the personal statement, and give yourself some distance between drafts. That temporal distance will give you a critical eye. To prep for secondaries, take notes on programs as you research where to apply so you can pre-write secondaries between submission of the primary and the secondaries’ arrival. Give yourself a month or two at least. Secondaries come in a deluge, and can want as little as a check and a form, and as much as several essays. Some of the applications are long (Duke has 7-8 essays!). 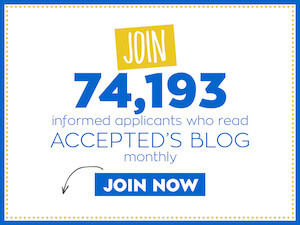 We recommend turning each secondary application around in at most two weeks. Here is a another resource that goes into more depth on secondaries: How to Create Successful Secondary Applications. Watch this recorded webinar when you start writing secondaries. 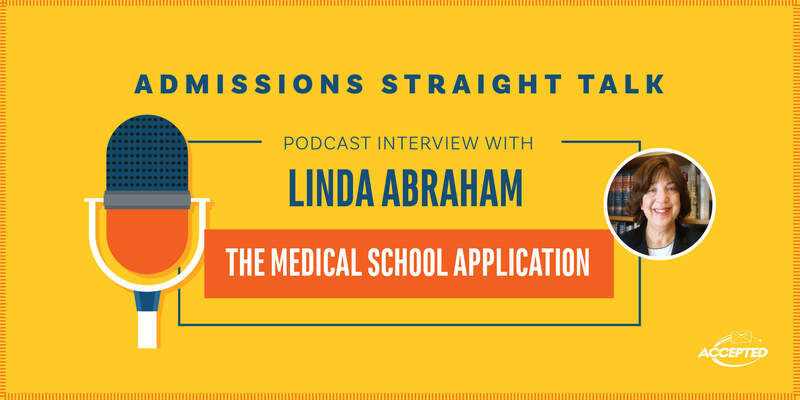 What should you include in your med school application? There is a very high level distinction between the primary application, and specifically the personal statement, and the secondary applications: The goal of the primary application is to show fitness for a career as a physician. The purpose of the secondaries is to show fit for a particular program. Take a journalistic approach: start with something that engages the reader — an anecdote, unusual (but not weird) fact or statement, or a question. Don’t start with, “I was born in…” or, “My name is…” Provide supporting points in the body of our essays, and conclude by tying back to the opening and the main point of your essay. Most meaningful experiences and activity descriptions should fill out, provide texture, and add to the reader’s understanding of you as a multi-dimensional human being. Let these pieces show that you are not a one-trick pony or a nerd. Make sure the most meaningful experiences and activity descriptions add value to the app (in other words, don’t merely repeat your transcript or your personal statement). Show hobbies, community service in all its forms, and a variety of commitments and interests. Use all the space if at all possible. Focus on fit with individual programs, unlike in the primary apps. Note special programs, the mission statement, and write about those activities that best demonstrate your interest in those programs and your support for that mission. DON’T JUST REPEAT THE PERSONAL STATEMENT! You are usually responding to specific questions, so make sure you answer the question. • Accepted to Med School in Mid October: How Did He Do It?